Natural habitats are always preferable to artificial habitats as they generally contain more species. However, some artificial habitats may also increase the abundance and/or diversity of habitat and fish in an area. Examples of artificial habitats include rock groynes, jetties, wharf pylons, oyster lease cultivation structures, shipwrecks and impoundments. 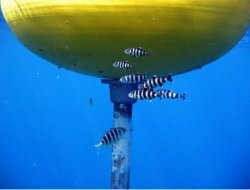 Purpose built habitats such as Artificial reefs, wetlands, Fish Aggregating Devices (FADs) and artificial seagrass units also provide shelter for many invertebrate and fish species. Artificial reefs often substitute for natural rocky reefs by offering shelter and attachment sites for a range of benthic organisms. 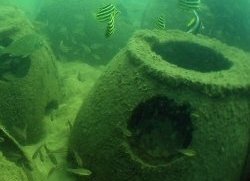 In the past, NSW DPI was instrumental in the construction of the Narrabeen artificial reefs, comprising a number of scuttled ships located over sand substrate in approximately 50m of water. As well, a number of smaller tyre reefs were trialed as artificial habitats in Port Hacking and Lake Macquarie, with limited success. A reef ball component of an artificial reef. Photo: Heath Folpp. A number of FADs have also been deployed in offshore waters along the NSW coast. These artificial habitats are a popular facility for recreational fishers and can congregate fish in an area. However, there is still significant debate about whether they significantly enhance fish populations. Artificial reefs can also pollute the environment, depending on the materials used for their construction. Their placement is also important to ensure that they do not sink, become buried over time, move or become a hazard to navigation, commercial fishing, SCUBA divers or other water users.